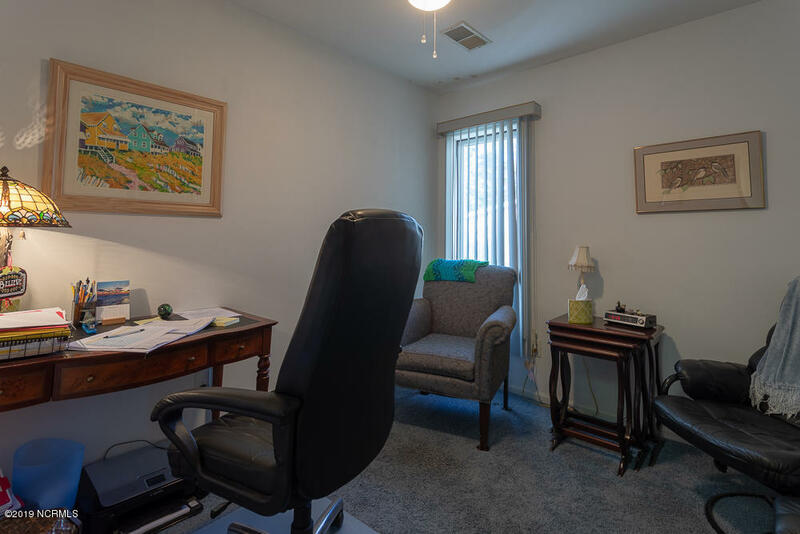 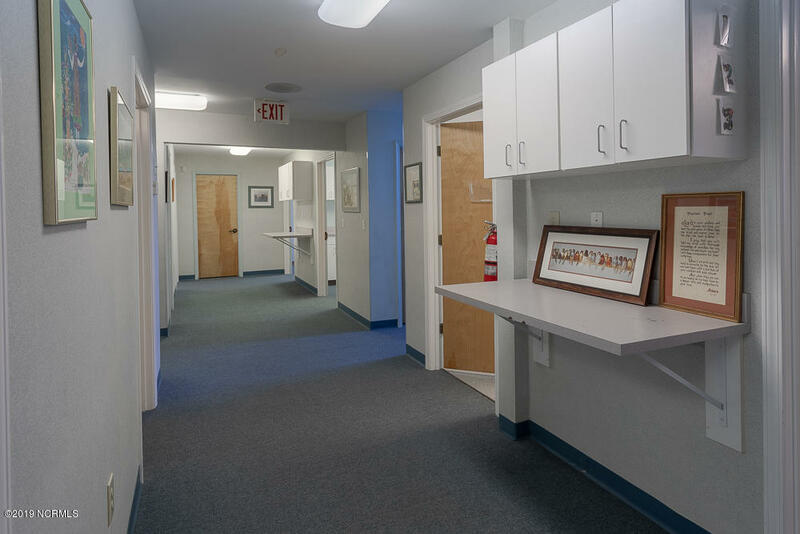 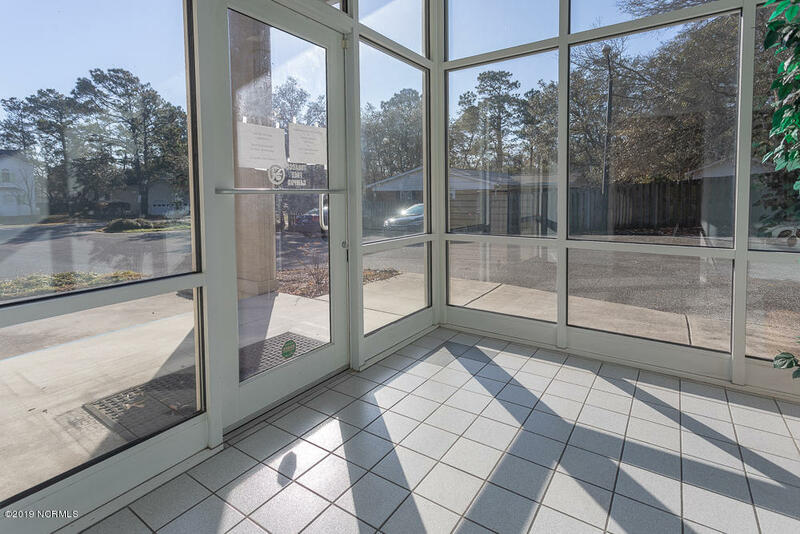 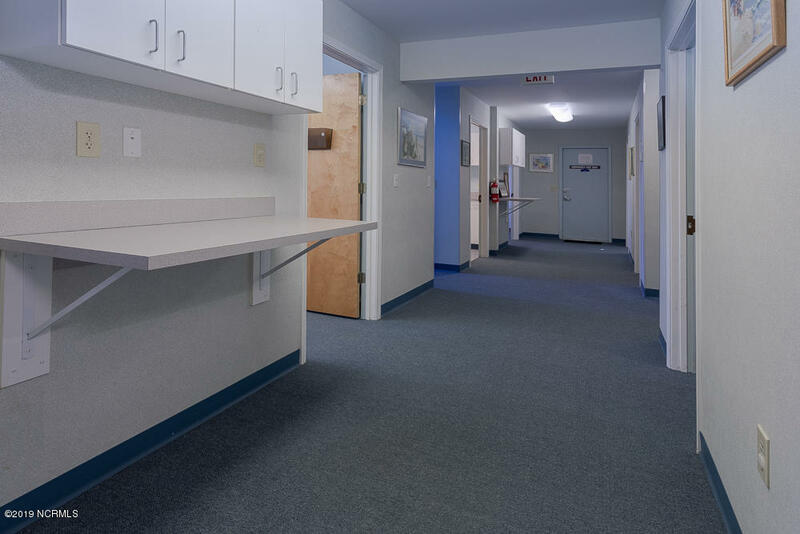 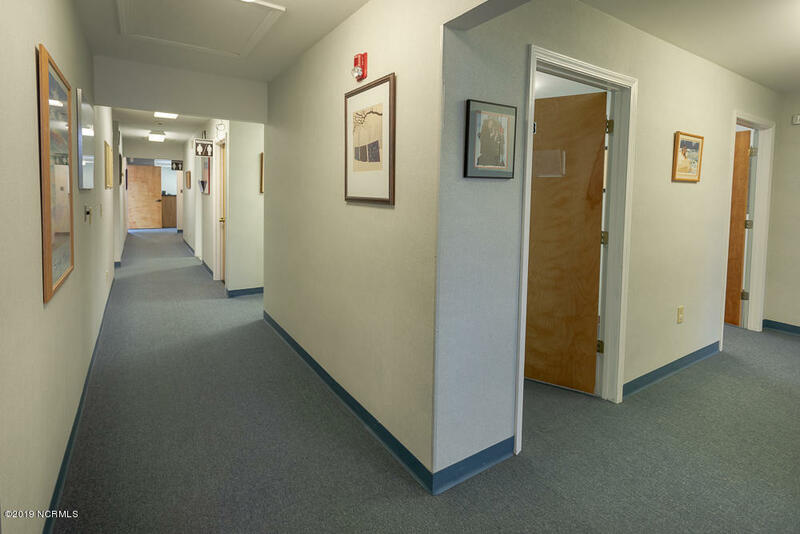 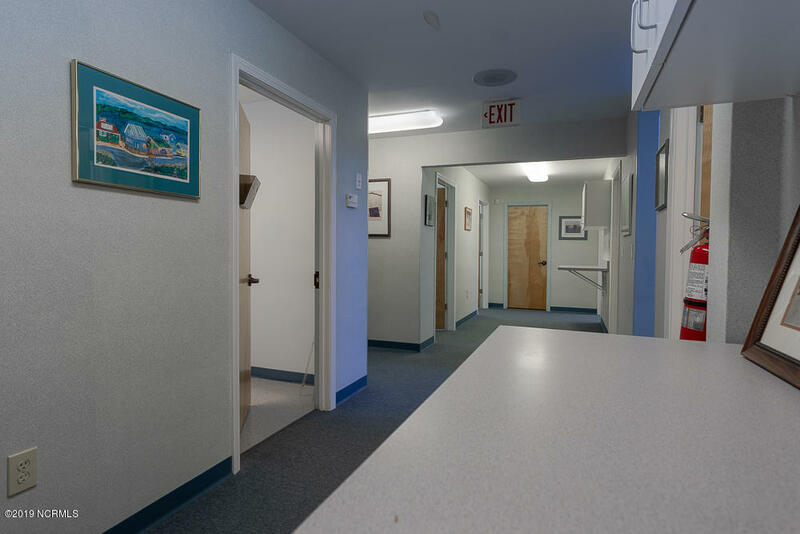 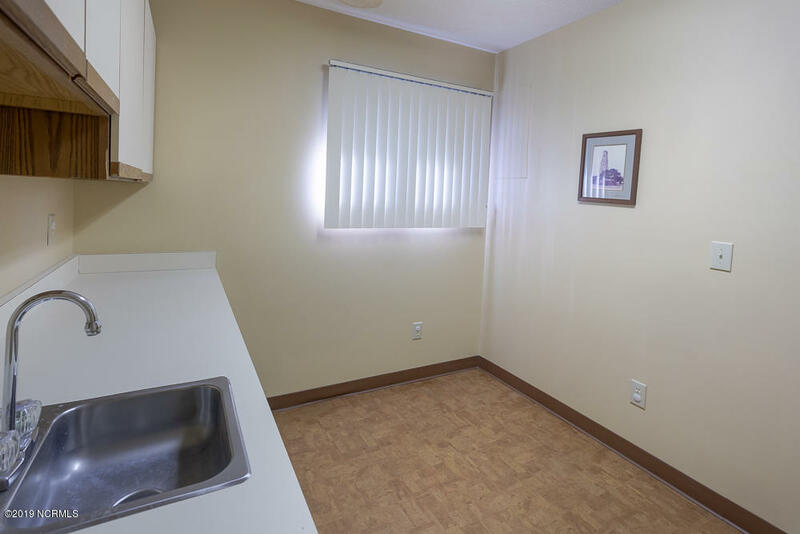 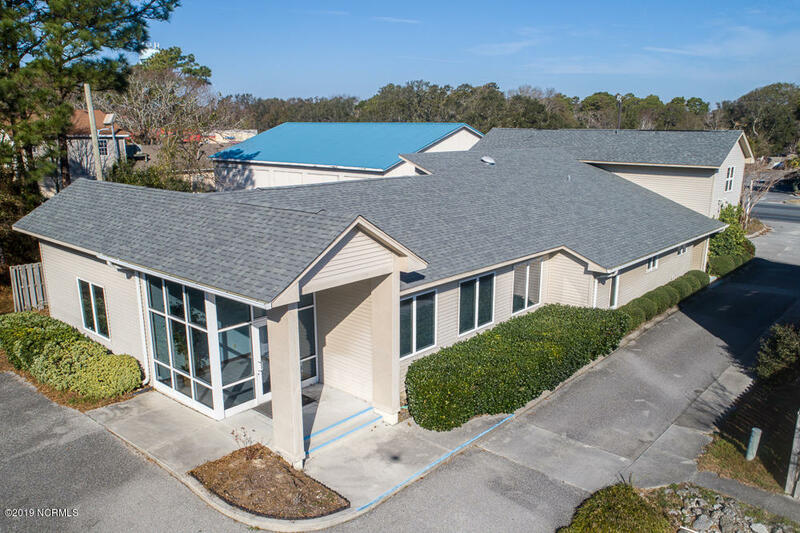 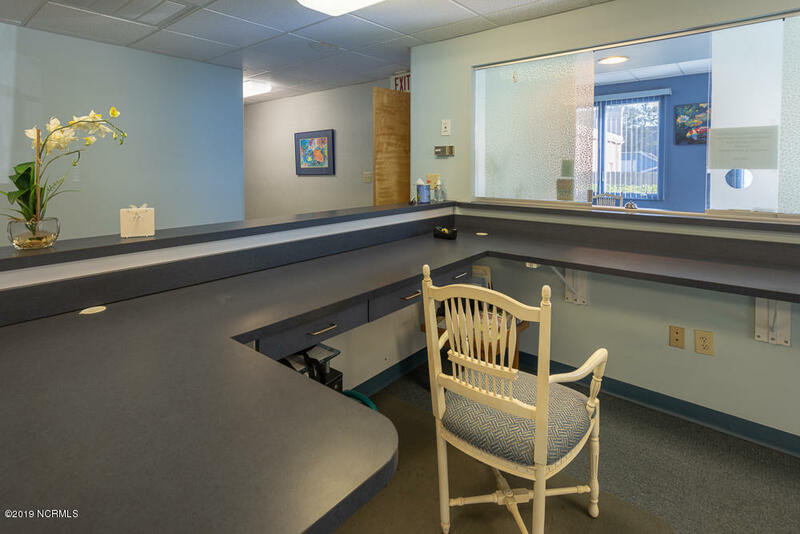 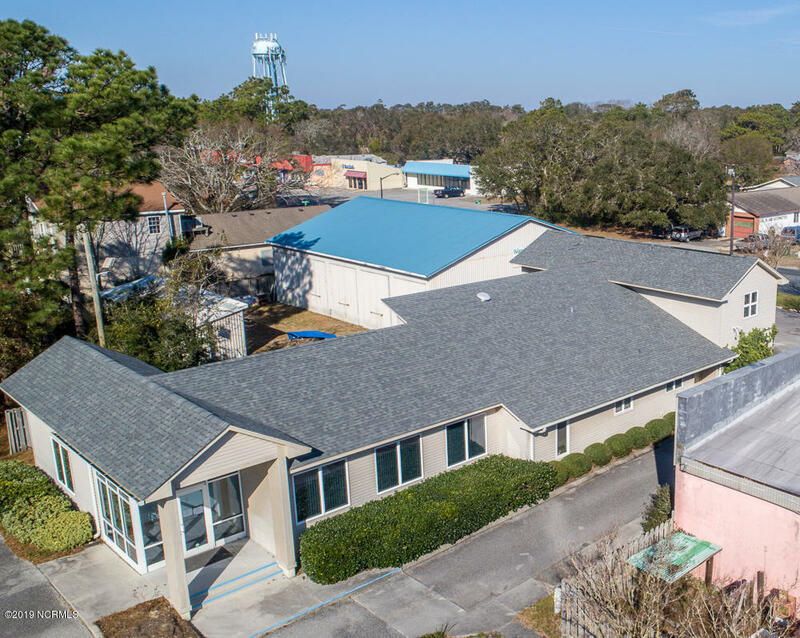 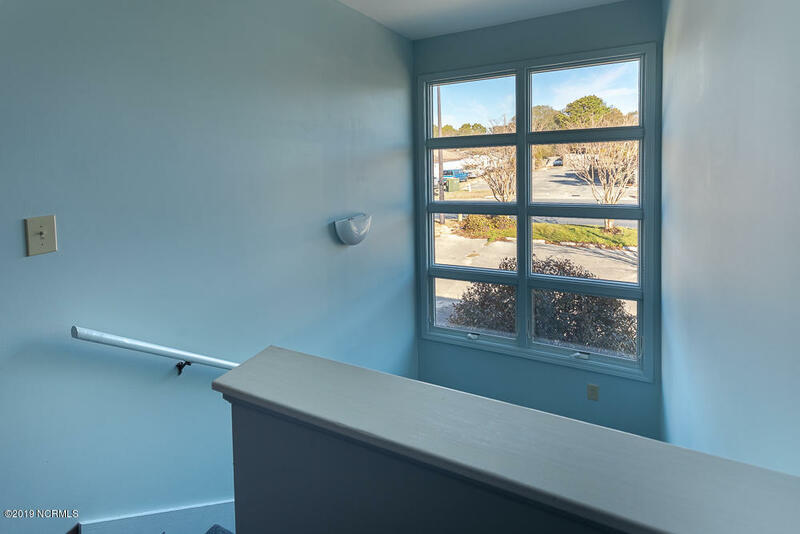 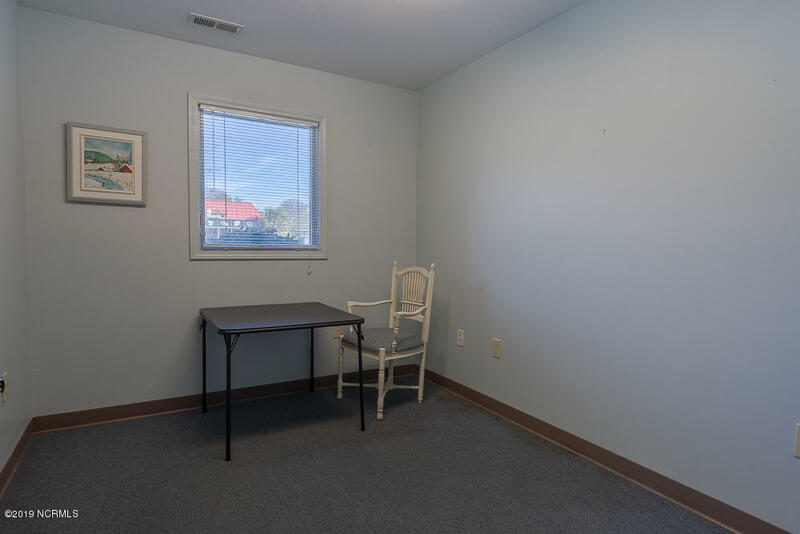 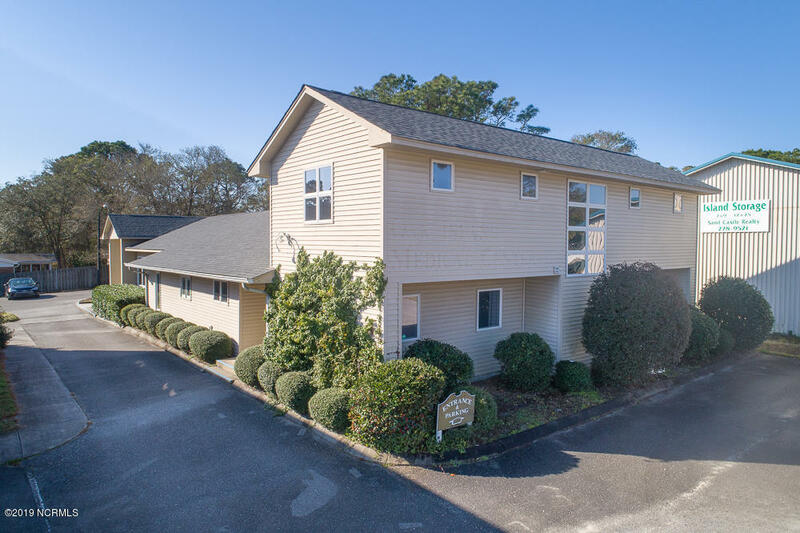 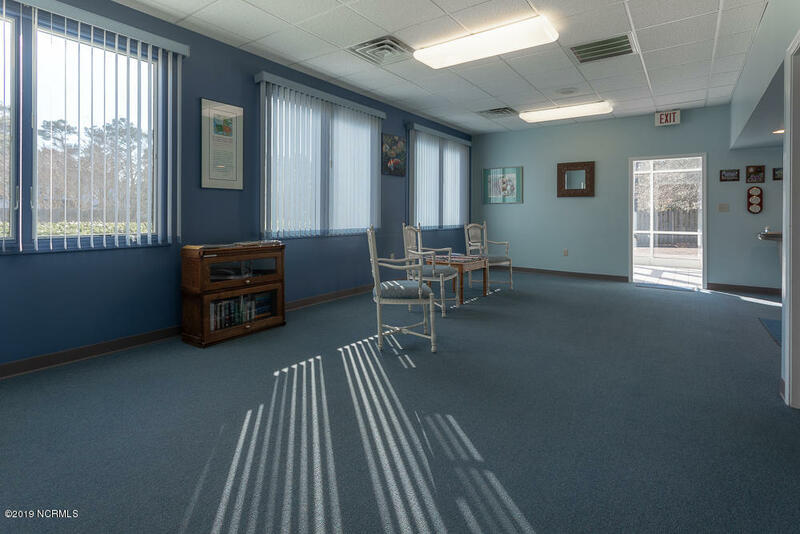 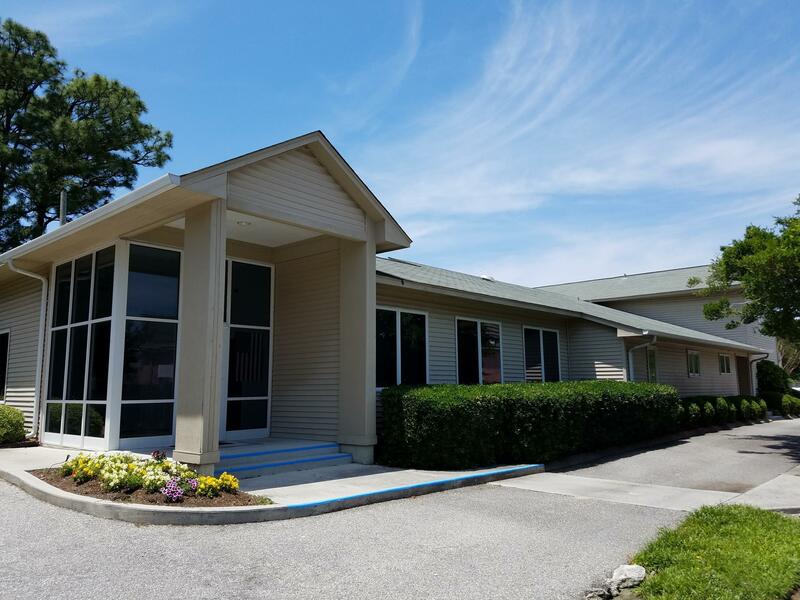 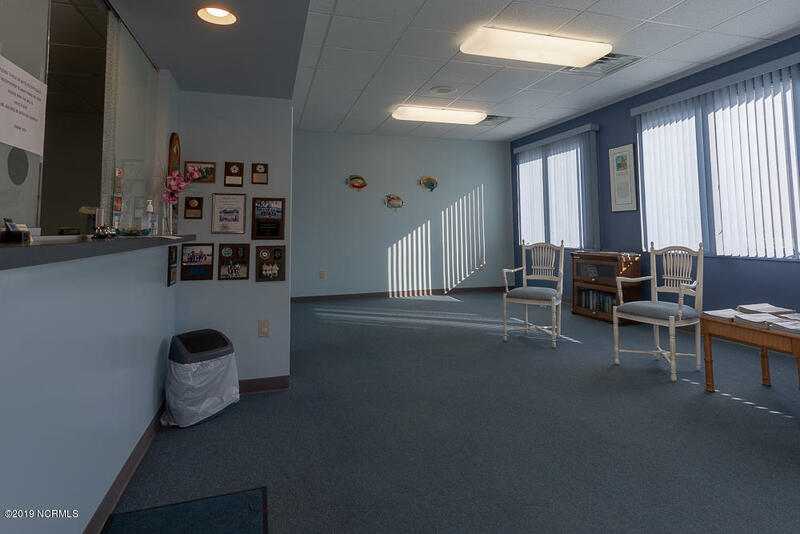 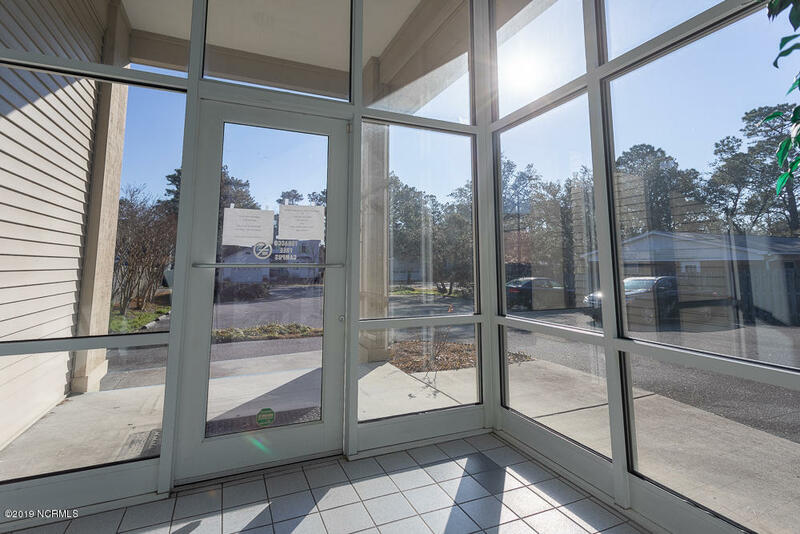 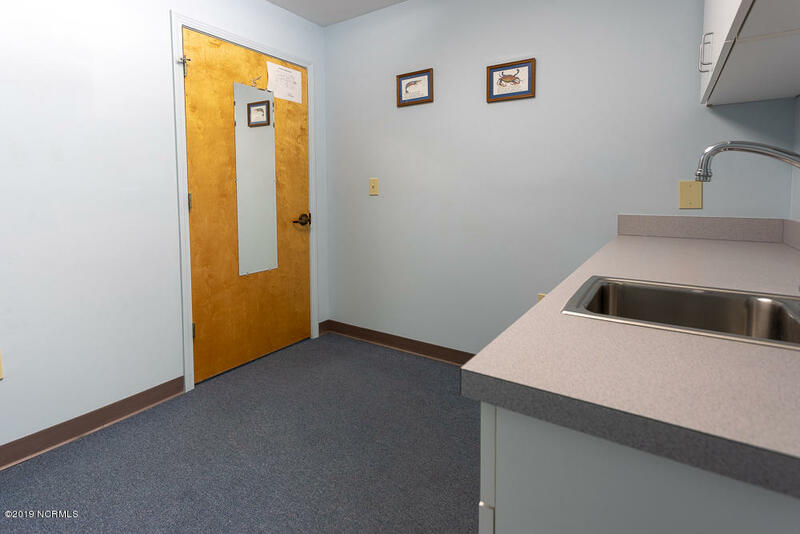 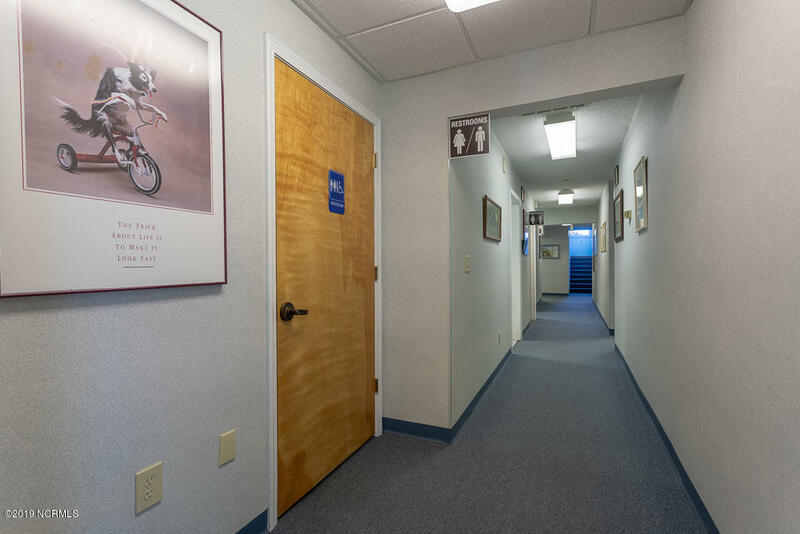 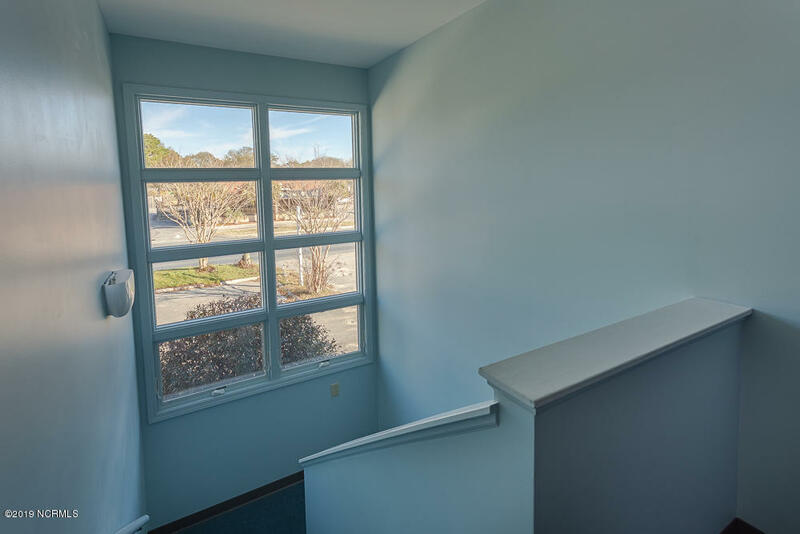 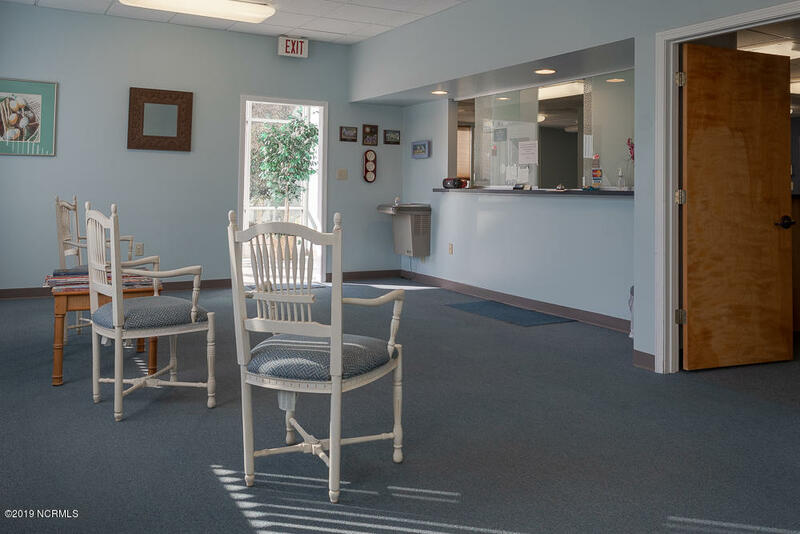 OAK ISLAND MEDICAL CENTER, just 3 blocks from the Oceanfront, containing approximately 4400 sq.ft., including spacious waiting room, expansive staff/office/file rooms, plus a private studio upstairs for owner use. 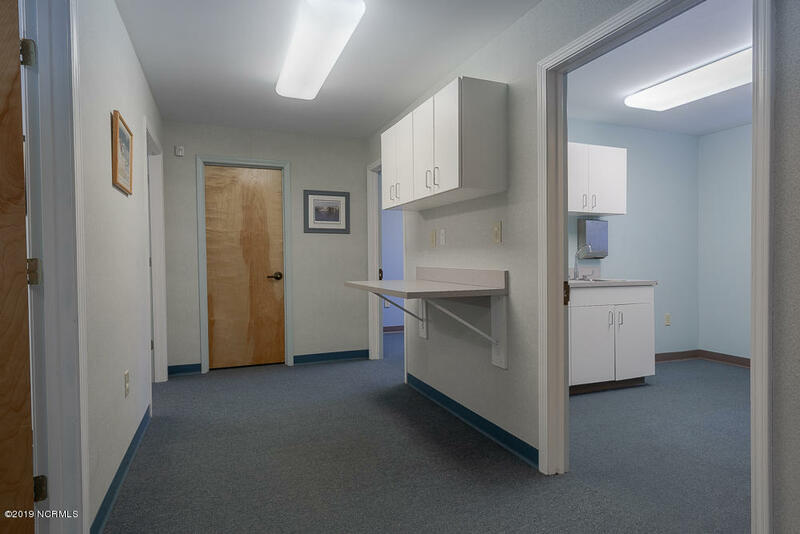 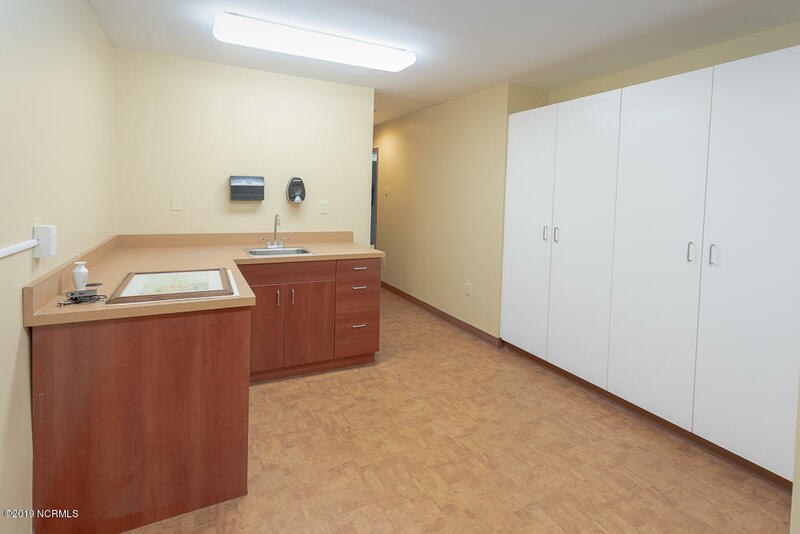 This building has multiple uses, to include medical facility, pharmacy, business office, or would be a great ''flex-space'' use for sharing of common areas. 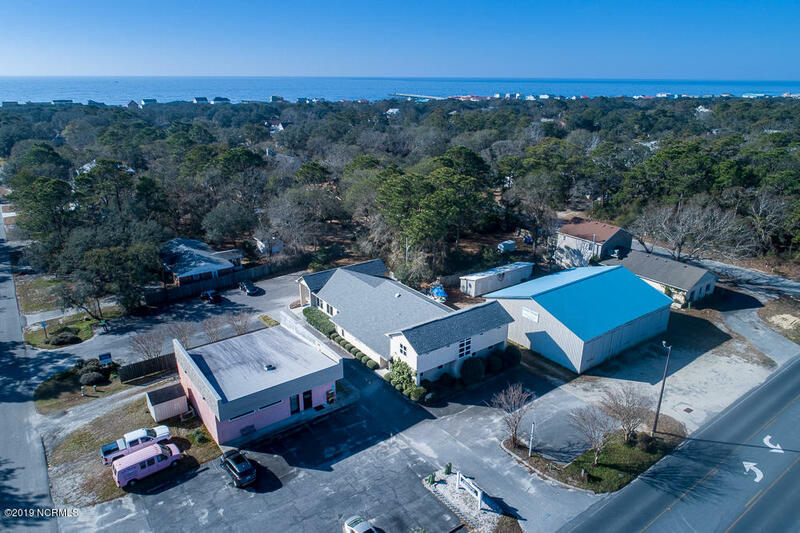 Approximately 22 parking spaces, 2 separate entrances, and access from both Oak Island Drive and Sellers Street. 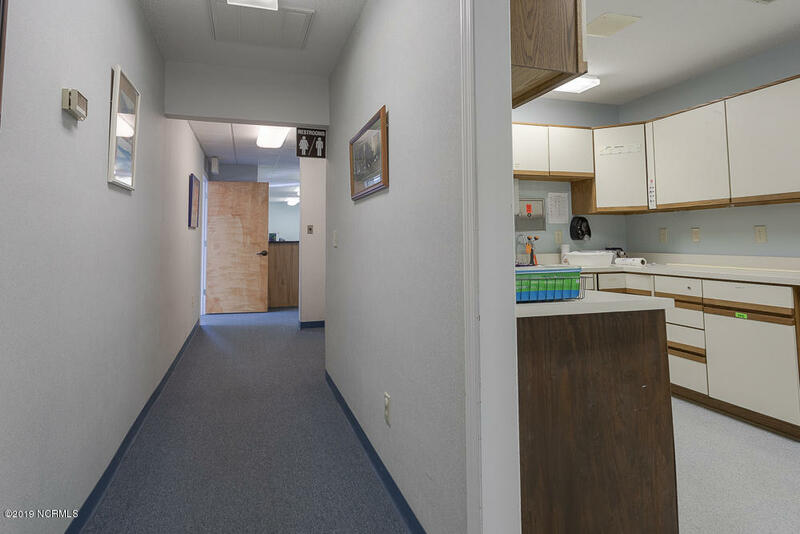 Entire building plan is on file. 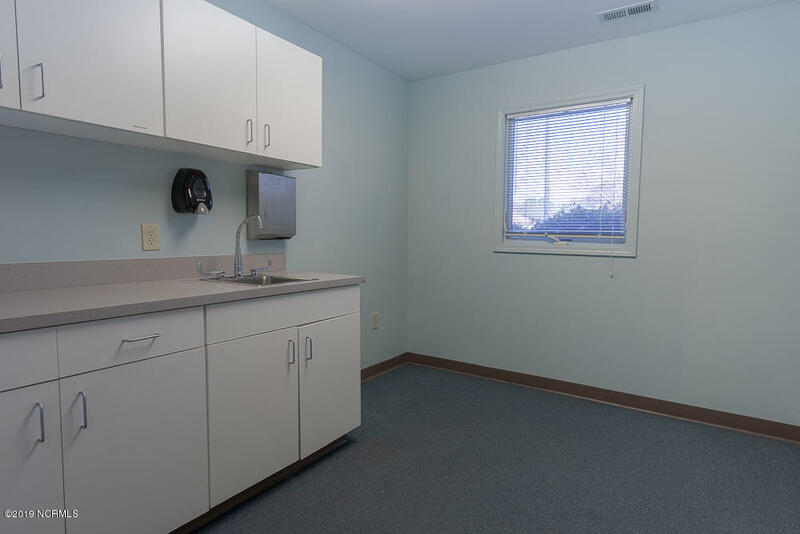 Medical practice is retired but some rooms may be occupied, so must have an appointment.